Eagle Creek's packable daypack, which folds into a tiny pouch, is ideal for any traveller tight on space. Any traveller who has lost their luggage can attest to the need for travelling light. After waiting days for luggage to be returned, whether it be on foreign or domestic soil, some opt to only ever travel carry-on. Luckily, thanks to companies like Eagle Creek who make packable accessories, there are solutions for those who want to lead a more compact life. Eagle Creek produces a number of packable items, but their daypack is by far one of the most useful products the brand has available to hikers and travellers. When folded, the pack takes up a minute amount of space, with comparative measurements to a 4x6-inch photograph, and, when expanded, the pack can hold water, provisions, a DSLR camera and a MacBook Pro. I took the packable daypack on a recent press trip to Arizona, where I put the bag through days of hikes, touring and urban adventures. 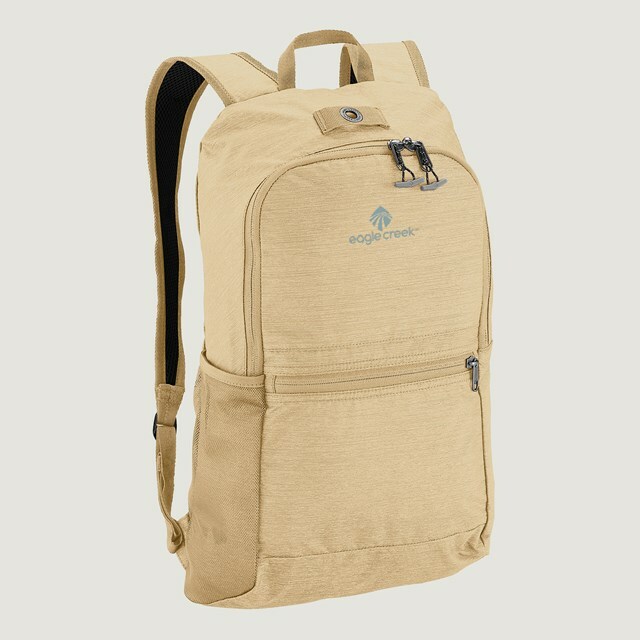 Durable, lightweight and compact, Eagle Creek’s packable daypack can serve as a carry-all during hikes or excursions. Its ability to fold into a tiny pouch is advantageous to those pressed for space in their already-overpacked carry-on and the lockable zipper feature allows travellers to safeguard precious belongings. The pack held up surprisingly well when overloaded with my personal belongings and the breathable mesh straps were comfortable to wear. Plus, the bag's nylon construction means it's easy to clean. If the Eagle Creek Packable Daypack can withstand 20-plus kilometres of hiking in Mesa, Sedona, Prescott, Jerome and Phoenix — from the winding paths of Wind Cave Trail to Camelback mountain’s more difficult Cholla trail — it certainly has the Can Geo stamp of approval.